Salads are one of those classic side dishes that complete any meal, especially during the summer with fresh ingredients and so many options for toppings and dressings. But nothing says summer potluck comfort food like potato salad, which combines the best of a garden salad and the starchiness of potatoes all in one. Try our favourite zesty potato salad at your next barbecue and we think it’ll be a new crowd favourite. First, chop potatoes to 1-inch cubes, boil until soft. Drain and place in the refrigerator to cool. 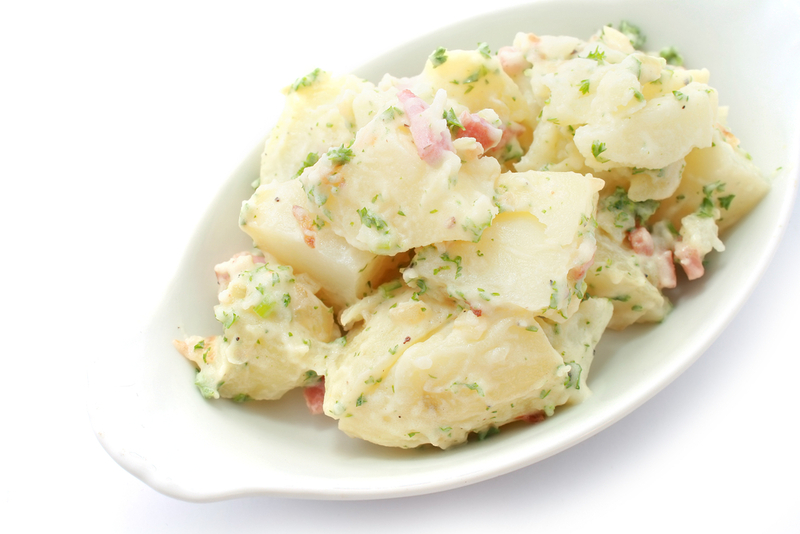 Refrigerating the potatoes will allow them to firm slightly, making them easier to toss in dressing. Combine dry milk, water, mustard and salt and pepper in a small bowl until well mixed. Combine potatoes, green beans, bell pepper and onions in large bowl. Add dressing and toss well to coat. Refrigerate for 1 hour. When ready to serve, place prepared salad over lettuce leaves. Enjoy! This recipe makes about 8 side dish servings, which is perfect for an intimate barbecue. But for your family reunion potluck, be sure to double the batch. For more recipes, visit www.scratchanddent.ca or stop by the store at 407 Gage Avenue, Unit #4 in Kitchener. A friendly staff member would be happy to help you or take your questions at 519-743-3623.